The V Channel is a start-up 501(c)(3) nonprofit education and entertainment media company in the social good space. We engage and inform parents, guardians, and educators—everyone who cares for children—about the positive impact virtues have on kids. Our creative team produces “V”TOONS Coloring Pages and “V”VIDEOS that inspire kids of all ages to be their “Best”. Common to people of all cultures, ethnicities and beliefs, virtues from A-to-Z are life skills that empower young and old alike to flourish as human beings, both individually and collectively. Crayola can help make the world a better place, one virtue at a time! 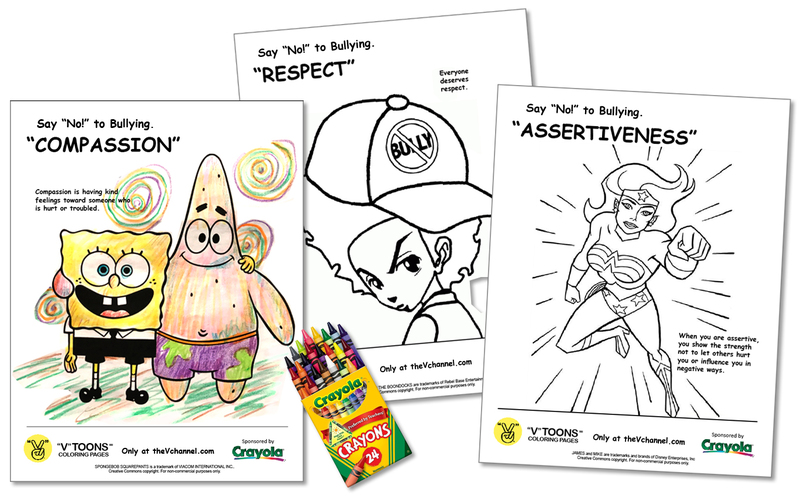 There are gazillions of coloring pages available, but only “V”TOONS inspire kids to be their “Best”. Featured characters are trademarks of various entertainment and publishing companies. Creative Commons copyright. “V”TOONS Coloring Pages can be used for non-commercial purposes only. For-profit versions will use original art. 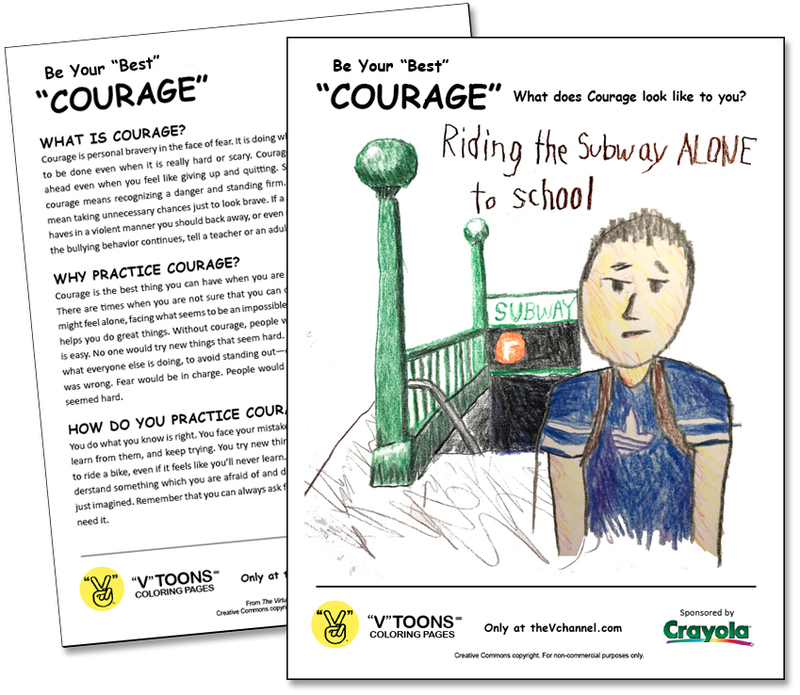 “V”TOONS include Disney Characters, Superheroes, Olympics, School Days and Say “NO!” to Bullying. Inspire your kids to be their “Best”. Crayola invites kids to show their “Best”. National campaign inviting kids of all ages to submit their “Best” drawings and artwork using Crayola crayons, markers or colored pencils. Selected submissions “Best” artwork will be produced as “V”VIDEOS directed by professional and talented student filmmakers. Click play button to watch video. Relevant and universal—who doesn’t want kids to be their “Best”? The V Channel is not affiliated with any religious or political organizations. “V”TOONS and “V”VIDEOS are trademarks of The V Channel Corporation.